Microdermabrasion has become an industry buzzword as of late, and with excellent reason! Here at Von Anthony Salon, we not only believe in the benefits of microdermabrasion, we also offer it as part of our skin care menu in our spa! If you’re new to this type of treatment, or simply want to learn more about it, read on! We’ll talk a bit about microdermabrasion here, what it is and how it can benefit you. So, what is it? We’re glad you asked! Microdermabrasion is a non-invasive treatment that uses tiny crystals (or other fine exfoliants) to help remove the layer of dead skin cells that we all carry around with us. When this outer layer is removed, the body gets a signal that your skin is injured, which causes it to immediately begin the process of replacing the lost skin cells with new, healthy cells. This results in younger, healthier looking skin. The treatment process is quick and easy. Your expert technician will use a special applicator to administer the tiny crystals that will slough off your dead cells. 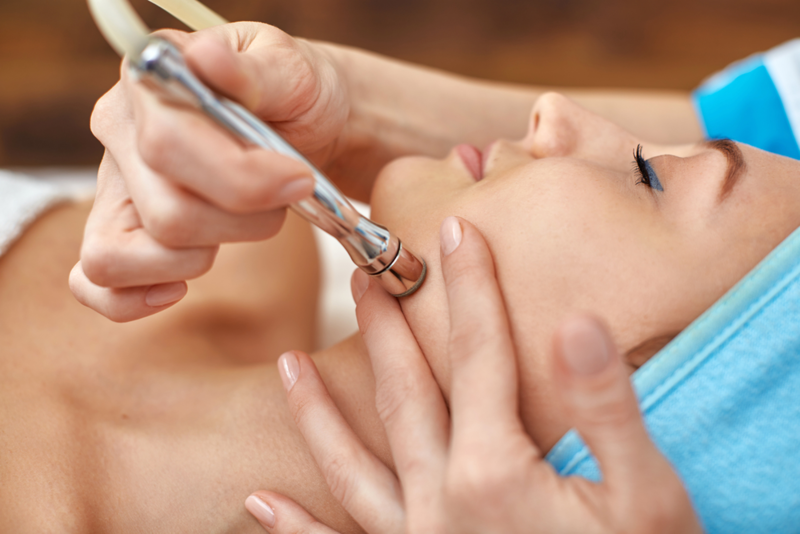 Often referred to as the “lunchtime facial”, because it can be completed in as little as thirty minutes, microdermabrasion is a highly effective way to improve the look of your skin with minimal discomfort and no downtime. Not only does microdermabrasion stimulate your body to naturally renew your skin cells faster and more evenly, it can also help improve your skin’s elasticity, texture, uneven pigmentation, fine lines, and clogged pores. Microdermabrasion also stimulates blood flow in addition to stimulating cell renewal. This means that your skin will receive increased amounts of vital nutrients required for health and vitality. The best part is, this treatment can become a regular part of your beauty routine too! You can schedule microdermabrasion appointments at monthly intervals to ensure that you achieve- and keep- your youthful glow. Are you ready to give microdermabrasion a try? Make an appointment today at Von Anthony Salon with one of our well-trained technicians. Give us a call on 972-731-7600, or take advantage of our mobile app to schedule at your convenience. Download it free on iTunes, Google Play, or Amazon.